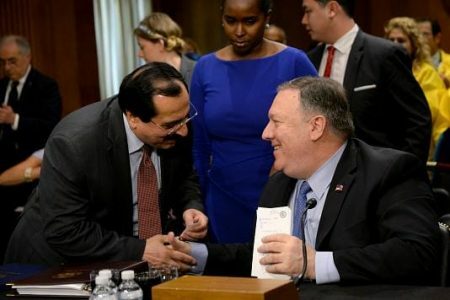 Were Saudis behind Abbas-MEK (Mojahedin Khalq) meeting? This week, Tablet looks back on 40 years of the Iranian Revolution. When Yasser Arafat arrived in Tehran on Feb. 17, 1979, the first “foreign leader” invited to visit Iran mere days after the victory of the revolution, he declared he was coming to his “own home.” There was some truth in Arafat’s flowery words. Having developed and nurtured a decade’s worth of relationships with all the major forces, from Marxists to Islamists, which had toppled the shah, he had good reason to feel like the victory of the revolution was in some part his own. Although the heady days of February 1979 would soon give way to tensions, the Palestinians were integral to both the Islamic Revolution and to the formation of the Khomeinist regime. For Arafat, the revolutionary regime in Iran carried the promise of gaining a powerful new ally for the Palestinians. In addition, Arafat saw a chance to play the middleman between Iran and the Arabs, and to encourage them to eschew conflict with each other in favor of supporting the Palestinians in their fight against Israel. Yet it soon became clear that Arafat’s double fantasy was unattainable, and would in fact become quite dangerous to the Palestinian cause. The relationship between the Iranian revolutionary factions and the Palestinians began in the late 1960s, in parallel with Arafat’s own rise in preeminence within the PLO. After the Iranian government crackdown of 1963, opposition groups resolved to adopt guerrilla tactics against the shah. 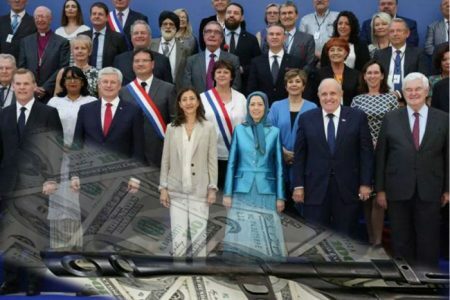 By the end of the decade, Iranian opposition factions had made contact with Palestine Liberation Organization (PLO) representatives in regional states including Qatar, and also Iraq, where Ayatollah Khomeini had been living since 1965. Marxist Iranian guerrilla organizations looking to receive training soon found their way to PLO camps in Jordan and South Yemen. Yet after the defeat of the Arab armies in the 1967 war, and a string of PLO terror spectaculars made Arafat a media star, the PLO itself suffered a major military and political defeat in 1970, when it tried to take over Jordan. The Hashemite Kingdom then defeated and expelled Palestinian military organizations, in what became known as Black September. One country afforded the defeated Palestinians the ability to operate freely under Arab cover, in the form of the Cairo Agreement of 1969. That country was Lebanon. Because the PLO’s position in the tiny country was unmatched anywhere else in the Arab world during the 1970s, Lebanon became the site where the major part of the Iranian revolutionaries’ encounter with the Palestinians played out. 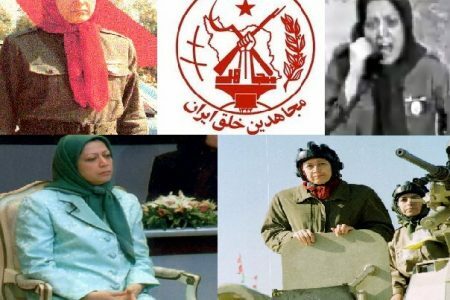 Even before Lebanon’s own system collapsed, and the country plunged into civil war, fueled in part by Palestinian weapons and ambitions, the country had become a training ground for revolutionaries from all over the world, and a magnet for cadres of the main Iranian revolutionary factions, from Marxists to theocrats and everything in between. Leftist Palestinian groups, like the Popular Front for the Liberation of Palestine (PFLP), worked with Leftist Iranian factions, like the Marxist Fadaiyan-e Khalq and small Communist groups. Arafat’s Fatah organization worked with everyone. Coordinating these activities was Arafat’s right-hand man and Fatah’s chief military commander, Khalil al-Wazir, also known by his nom de guerre, Abu Jihad. The number of guerrillas that trained in Lebanon with the Palestinians was not particularly large. 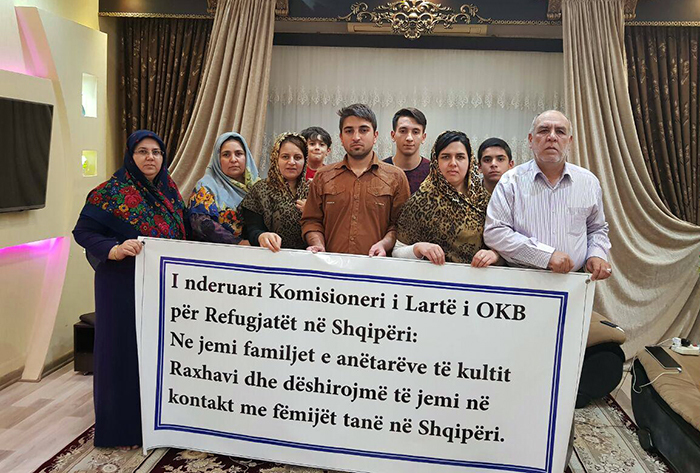 But the Iranian cadres in Lebanon learned useful skills and procured weapons and equipment, which they smuggled back into Iran. A 1977 U.S. intelligence assessment noted the “quantity and sophistication of the weapons available to the terrorists,” which included “assault rifles, armor-piercing rifle grenades and possibly mortars, which allows them considerable flexibility in their tactics.” But guerrilla tactics carried out by Iranian leftist groups did not have any major success or even prominence in the revolutionary struggle within Iran before its very final phase. These tactics, however, would come into play in the transitional period following the collapse of the Pahlavi regime. 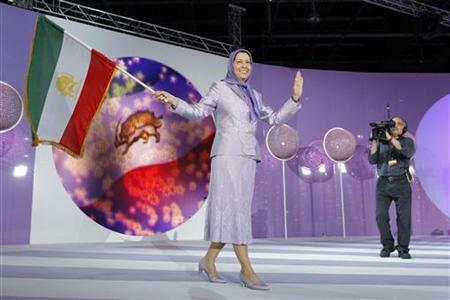 The three main Iranian opposition factions operating in Lebanon were: the Liberation Movement of Iran (LMI), often described as Islamic modernists; the Islamic-Marxist Mojahedin-e Khalq (MEK); and the Islamist devotees of Ayatollah Khomeini. But the fact that the PLO worked with all of them didn’t mean that Arafat held them all in the same regard. The PLO did not develop any serious relationship with the LMI, for instance, which was aligned in Lebanon with the Iranian-Lebanese Shiite cleric Musa Sadr, who had fallen out with the Palestinians. The PLO did establish close working ties with the Khomeinist faction. Three figures in particular from that camp were active in Lebanon, working closely with the PLO. Mohammad Saleh Hosseini, who was active in Iraq where he made contact with Fatah before coming to Lebanon in 1970; Jalaleddin Farsi, an Islamic activist and teacher who would run for president in 1980 as the Khomeinist faction’s candidate (before disclosure of his Afghan origin disqualified him); and Mohammad Montazeri, son of senior cleric Ayatollah Hossein-Ali Montazeri, and a militant who had a leading role in developing the idea of establishing the Islamic Revolutionary Guard Corps once the revolution was won. 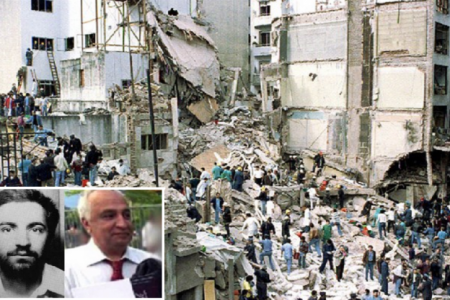 The Lebanese terrorist and PLO operative Anis Naccache, who coordinated with these three Iranian revolutionaries, has given an account of the relationship. 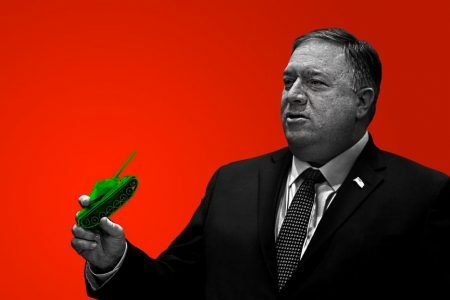 In it, he talks about his Khomeinist allies’ fear of a coup, after their victory, as the impetus behind the creation of the Islamic Revolutionary Guard Corps (IRGC)—and he takes personal credit for the idea. 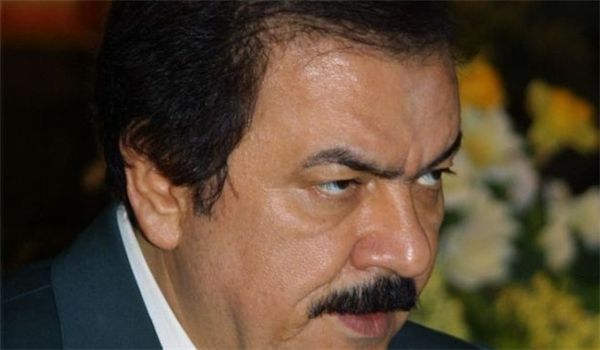 Naccache claims that Jalaleddin Farsi approached him specifically and asked him directly to draft the plan to form the main pillar of the Khomeinist regime. 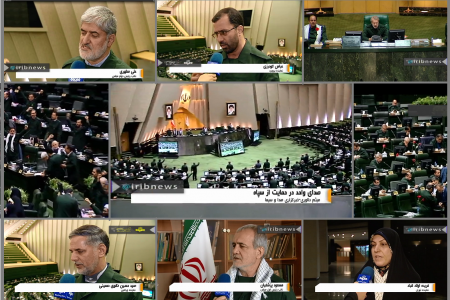 The formation of the IRGC may well be the greatest single contribution that the PLO made to the Iranian revolution. 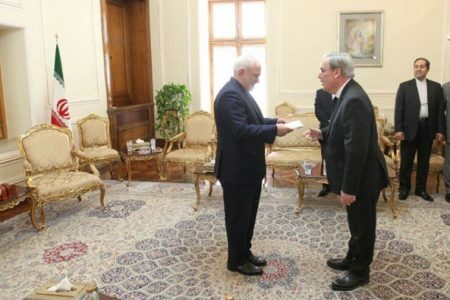 While it is also true that after the revolution, Montazeri asked Arafat to send Fatah fighters to Iran to directly train the new IRGC recruits, that effort did not see the light due to opposition from LMI figures in the provisional government. Reports of a massive Palestinian presence in Iran more generally would appear to be wildly overblown. While both the Palestinians and their enemies might fantasize about the PLO exerting a major independent influence inside Iran, there is no evidence that those fantasies ever approached fact. The key battleground on which Palestinians and Iranians actually met was Lebanon. Khomeinist operatives in Lebanon were hostile to the LMI and their ally Musa Sadr, whose relationship with the Palestinians had turned antagonistic. The mutual hostility of Khomeinists and Palestinians towards Sadr led in 1978 to the Lebanese Shiite cleric’s murder in Libya—a country with whose leader, Muammar al-Qaddafi, the Khomeinists had established ties, with help from the Palestinians. In addition to liquidating Sadr, Libya was an important source of funding for Khomeini as well as for the MEK. It also would prove to be a useful ally with the breakout of war between the newborn Islamic Republic and Saddam Hussein’s Iraq, which presented itself as the sword of the Arabs against the Persians and sought to crush its expansive-minded revolutionary neighbor. The interfactional alliances and murderous rivalries that played out in Lebanon foreshadowed the power struggle that took place in the two-year transitional period following the triumph of the revolution, as the Khomeinists moved to consolidate their grip on power. Arafat understood that the Khomeinists had the largest capacity for popular mobilization among the revolutionary forces inside Iran. But being Arafat, he always looked to keep multiple channels open while trying to leverage contradictory relationships. 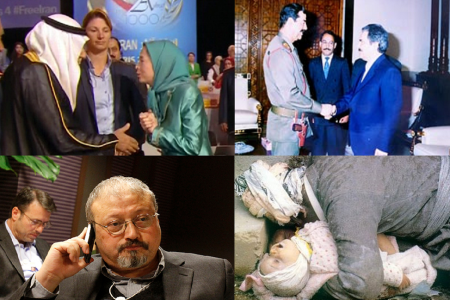 Following the revolution itself, he maintained his ties to the MEK, which in 1979-1981 was locked in a violent fight with the Khomeinist faction. 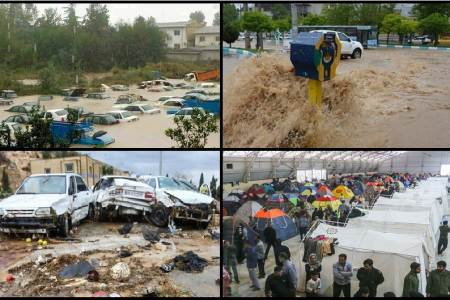 That had now coalesced in the Islamic Republic Party (IRP), which dubbed itself Hezbollah, or the Party of God. 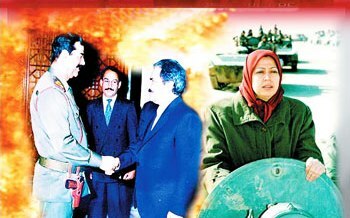 Hani Fahs, a Lebanese Shiite cleric who worked with Fatah as a liaison with the Iranians, explained that Arafat saw continuing his relationship with the MEK as a way to “poke” at the new Iranian regime if he wanted something or if he was upset at them. Shaking down Arab states was an established method for Arafat, one he thought he could replicate with Iran. 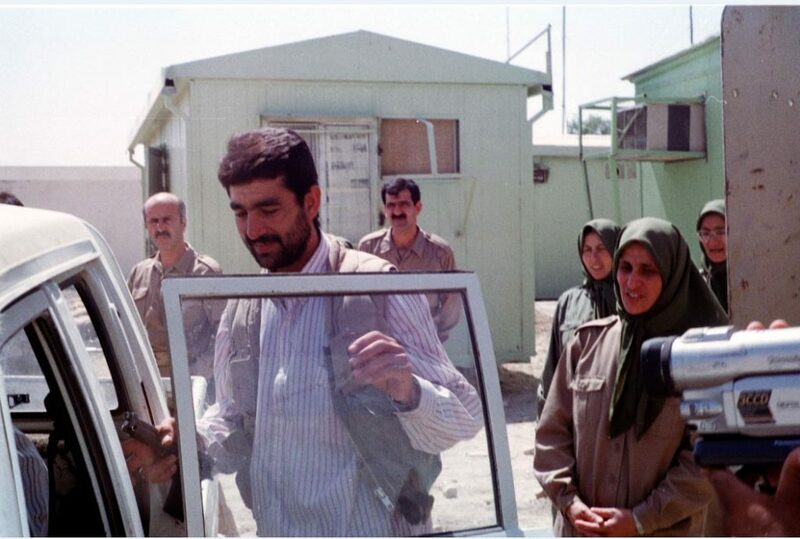 It’s also been noted that as the new Iranian regime launched operations to suppress the Kurdish insurgency in 1980, the defense minister at the time, Mostafa Chamran, who had spent time in Lebanon and was a close ally of Musa Sadr, recognized in the insurgency some of the same guerrilla tactics he saw the Palestinians and their allies use against Sadr’s Amal militia in Lebanon. Yet Arafat’s continued ties to the MEK as it fought a bloody battle with the IRP, and his attempts to stick his nose in domestic Iranian affairs, did not amuse Khomeini, who had no patience for the Palestinian chief’s juggling act, and saw his actions as threats. Attempts by the PLO to overstep its boundaries within the Iranian political sphere were quickly shut down, in ways that were often not subtle. Fahs relays a relevant anecdote of how he once offered his opinion during a conversation Mohammad Saleh Hosseini was having with Jalaleddin Farsi about Iranian foreign affairs, only to be curtly put in his place by Hosseini, who curtly informed Fahs that he had no business weighing in on Iranian matters. To be sure, Fahs was but a lowly apparatchik. Nevertheless, this attitude extended to Arafat himself, and to his lieutenants. In fact, as a 1980 CIA memo explained, PLO offices in Iran were closely monitored. The new regime would not allow Arafat and his Palestinians to become the tail that wagged the Khomeinist dog. It wasn’t only Arafat’s attempt to play politics inside Iran that soured his relationship with Khomeini. From the get-go, Arafat also tried to cash in on his ties with the new regime by attempting to mediate the 444-day U.S. Embassy hostage crisis. Arafat’s meddling angered Khomeini, and further increased his suspicions of the Palestinian leader. When Arafat sent one of his top aides, Abu Walid (Saad Sayel), to Tehran to mediate, at the Americans’ request, Khomeini refused to receive him. The Iraq-Iran war only deepened the PLO chairman’s predicament. Arafat could not side with Iran and condemn Iraq. 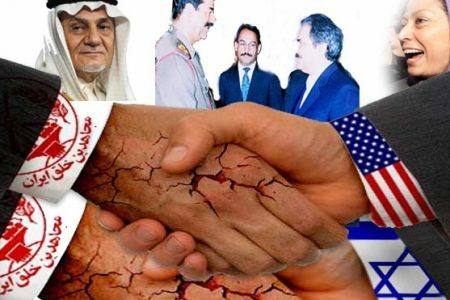 That would risk losing the support of the Arabs, especially the wealthy Gulf states, which helped sponsor Saddam by paying him blackmail, and also provided the lion’s share of direct and indirect funding though bribes, payoffs, and remittances for the PLO’s own operations. Again, Arafat tried to mediate. Khomeini, busy fighting a war in which half a million soldiers are estimated to have died, a majority of whom were Iranian, didn’t even bother to receive him this time. If Arafat thought he could ride two horses at once, balancing Iran against the Arabs, he was quickly disabused of that notion. By the end of 1981, Arafat had very clearly lost favor in Tehran. 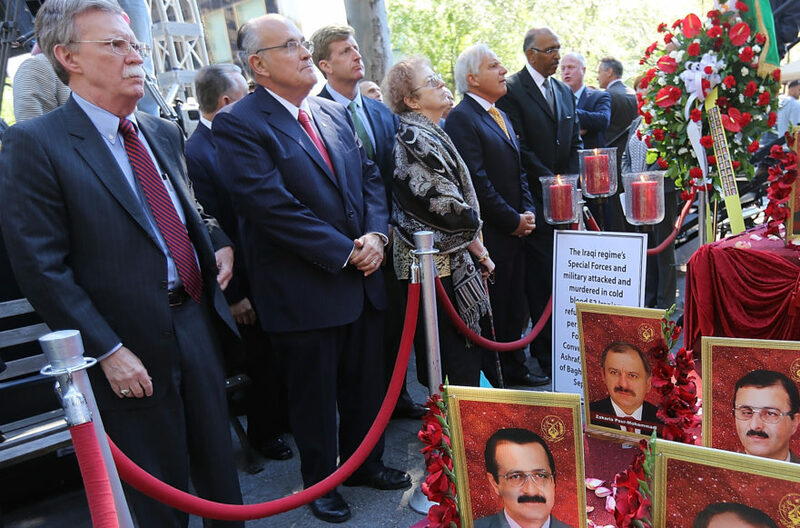 To make things worse, two of his closest Iranian allies, Mohammad Montazeri and Mohammad Saleh Hosseini, would be assassinated that year—the former in an MEK bombing, the latter by Iraqi agents in Beirut. 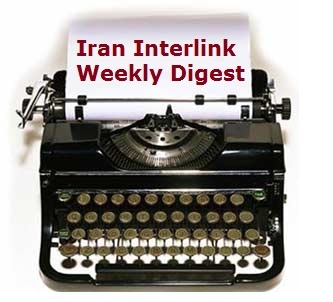 By then, the IRP had consolidated its grip on power within Iran and sidelined rival factions. Likewise, within Lebanon, the dominant Iranian revolutionary faction—Hezbollah—had already begun cloning itself within its host country. Khomeini lieutenants like Hosseini had used connections with Fatah to recruit new cadres of Lebanese Shiite youth (among whom was a young man named Imad Mughniyeh) to their own banner. 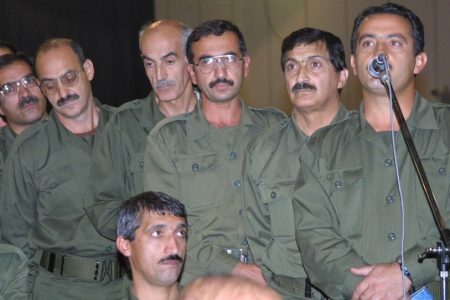 These recruits received military training in Fatah’s camps, but became part of a separate Khomeinist formation which was named after its Iranian progenitor. In 1982, the PLO would be routed in Lebanon by the IDF, and was forced to withdraw its leadership under American protection to Tunis. By then the Iranians had already set up their own alternative structure to the PLO within Lebanon, formally known as Hezbollah. Arafat would have one last dance with Iran before his death. After launching the Second Intifada against Israel, Arafat reached out to Iran for weapons. He purchased a freighter, the Karine A, in Lebanon, and the Iranians loaded it with 50 tons of weapons. Hezbollah commander Imad Mughniyeh played an integral role in the operation. The IDF intercepted the ship in January 2002. Arafat’s fantasy of pulling the strings and balancing the Iranians and the Arabs in a grand anti-Israel camp of regional states never stood much of a chance. 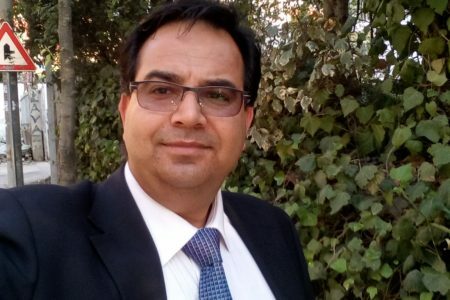 However, his wish to see Iran back the Palestinian armed struggle is now a fact, as Tehran has effectively become the principal, if not the only, sponsor of the Palestinian military option though its direct sponsorship of Islamic Jihad and its sustaining strategic and organizational ties with both Hamas and Hezbollah. By forging ties with the Khomeinists, Arafat unwittingly helped to achieve the very opposite of his dream. Iran has turned the Palestinian factions into its proxies, and the PLO has been relegated to the regional sidelines. 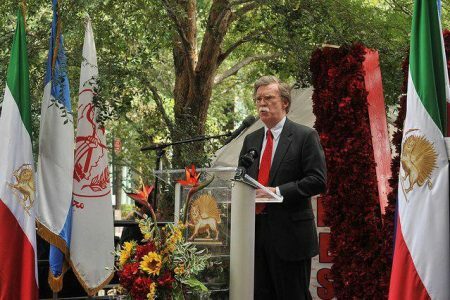 What Is Going On In The US-Israel-MEK Triangle? 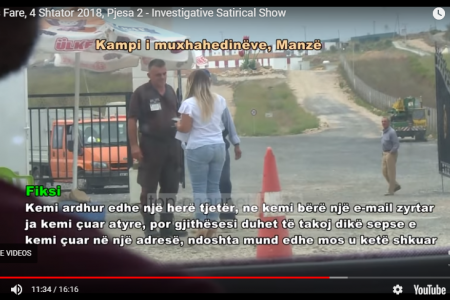 2018/11/05 What Is Maryam Rajavi Doing In Albania?